cdcindonesia.com - Indonesian morning enthusiasm, the following job information comes from one of the companies engaged in pawnshops, namely:PT Pegadaian (Persero) - Pegadaian is a leading state-owned financial services company in Indonesia. Pegadaian has core business focus on pawning loan services. 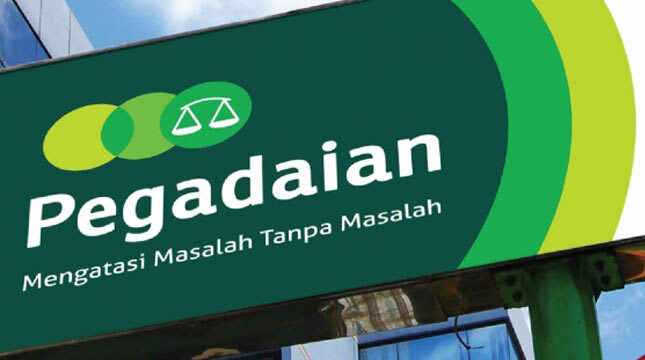 Pegadaian has a monopoly on fiduciary service in Indonesia and has its business activities focused in 3 sectors: financing, gold and various services. Pegadaian is recognized as one of the oldest companies in Indonesia. The history of Pegadaian goes back to 1746 when Vereenigde Oostindische Compagnie (VOC or The United East India Company) established Van Leening Bank as a financial institution that provides credit with a pawn system. Established the first state-owned Pegadaian in Sukabumi West Java on 1 April 1901. After several times changes of its status, the name of PT Pegadaian (Persero) officially launched in 2012.Headquartered in Jakarta, Pegadaian conducted business operations in all parts of Indonesia under the management of 12 regional offices, 59 area offices, 629 branch offices, 3.826 branch unit offices spread in all over Indonesia (as of December 2016). Pegadaian also supported by nearly 12,943 employees. Pegadaian supported by 3 subsidiary companies and 1 associated company; PT Balai Lelang Artha Gasia (99.99%), PT Pesonna Optima Jasa (99.00%), PT Pesonna Indonesia Jaya (99.00%), and PT Pefindo Biro Kredit (23.37%). Maximum age of 25 years old for Bachelor Degree . Maximum age of 28 years old for Master Degree. Never been married and did not plan to get married for 1 year in the period of education and during employment contract. All applications are appreciated and will be treated confidentially. Only qualified, short-listed applicants will be invited for furthers process.